July 19, 2017 By Law Offices of Bryan Musgrave, P.C. Collisions with large trucks can be catastrophic because of the sheer forces involved. The size and weight of these vehicles mean that they often cause debilitating injuries and deaths when they are involved in accidents. According to the Federal Motor Carrier Safety Administration, 415,000 large-truck collisions occurred in 2015, resulting in 3,598 fatal wrecks and 83,000 injury crashes. When the truck drivers are at fault, lawsuits against trucking companies may help the victims recover compensation for their losses. Unfortunately, these lawsuits are very difficult for multiple reasons. If you have been injured in a trucking accident or your loved one was killed, you will need experienced legal help to make a claim. Truck accidents often involve drivers and companies who live in or are headquartered in other states. This means that there may be multiple jurisdictions in which the lawsuit can be filed, and determining the best jurisdiction in which to do so is a complicated process. The trucking industry is governed by state and federal laws and regulations, which necessitate an in-depth analysis. Trucking companies are often national corporations with their own legal teams. When accidents happen, they may immediately send out teams to the accident scenes to start building their defense cases against the victims of the accidents by collecting witness statements and evidence. The insurance companies that insure these large trucking companies are also strongly vested in trying to minimize their losses by offering unreasonably low offers or attempting to dispute the liability of the drivers. Since these policies are often as much as 50 times larger than the average policy limits for passenger vehicles, companies work harder to avoid paying out on claims. Both state and federal law recognizes the concept of respondeat superior, which means “let the master answer for the servant.” Under this legal theory, employers may be held vicariously liable for the actions of their employees. The idea behind this concept is that employers derive benefit from the work of their employees and that they are often better endowed with funds to help to make victims whole. In addition, trucking companies and their employees are expected to follow strict rules regarding hours spent behind the wheel, the size of loads, and equipment maintenance. When companies bend or break these rules to better their bottom lines, an accident may occur and the company or driver may be held liable. When truck drivers negligently cause accidents, lawsuits against trucking companies and the drivers may be filed, with both the drivers and the companies named as defendants. In cases involving truck drivers who are independent contractors, the trucking company may not be liable. However, an attorney may file a lawsuit against the driver. In addition, if the accident resulted because of defects in a truck’s parts, the manufacturer may be named as a co-defendant. Following your truck accident, your attorney may first assess what happened in order to make a liability determination. If the accident resulted from the negligence of the driver or from such things as defective equipment or negligent maintenance, the attorney may agree to accept representation. The next step involves sending a spoliation letter to the trucking company. This is important because it serves as notice to the company to preserve all of the evidence from the accident. Sending this letter in a timely manner is very important because it prevents the company from altering or destroying any evidence, including black box data. The lawyer may then use investigators to interview all of the witnesses to the accident. Doing this soon after the accident is important because people forget details as time passes. Accident reconstruction experts may be sent to the scene to take photographs, take measurements, and perform other tasks to show how the accident happened. Some cases may involve recreating the accident’s scene using digital media to present a better idea of exactly what happened. All of the vehicles that were involved in the accident, including the truck, must be inspected and examined as well. Your attorney will then calculate the value of the claim and send a demand letter, which details what happened, the injuries that you suffered, and the amount of damages that you are seeking. If the insurance company refuses to extend a reasonable settlement offer, your attorney may then decide when and where to file your lawsuit. Lawsuits against trucking companies are complex. 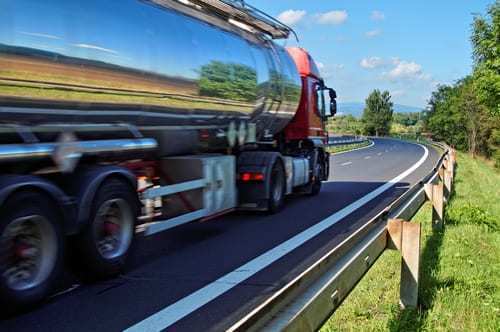 If you have been injured or your loved one has been killed in an accident that was caused by the negligence of a truck driver, you may need legal help to recover fair compensation. Contact the Law Offices of Bryan Musgrave, and schedule a free initial consultation to explore your options. We have successfully recovered compensation in settlements with truck companies, which you can explore in more detail on our Verdicts and Settlements page. We can help you determine the best course of action so that you can obtain the maximum compensation you deserve and the best outcome for your claim.